In the aquarium hobby, both water and air pumps play several important roles. Pumps of both types may provide water movement, or run water through filters or other aquarium equipment. Under some circumstances, they may vibrate, causing irritating noise. Troubleshooting for this problem is similar for both water and air pumps, except for the fact that you'll probably get your hands wet with water pumps. Inspect the pump. Often, noise is caused by the pump vibrating against the tank, stand or other surface. Stuff filter foam or aquarium-safe sponge between the sponge and the surface. Only use sponges from a pet shop, since grocery store sponges can contain cleaning chemicals that can kill fish. Turn off the pump if the noise persists. Inspect it more closely. Often, a clogged inlet can make a pump noisy. Clean the inlet. If you have a water pump, algae or calcium creep can clog it. Scrubbing out the inlet can remove this blockage. Some pumps can be partially disassembled to clean inlets and outlets. Air pumps often have a floss filter, a small cylinder of material that blocks dust. You can clean this out by removing it and spraying it with a can of air or replacing it. Inspect any airstones or other devices powered by the pump. If algae clogs these accessories, you need to replace them. Clogs force the pump to work harder, generating more noise. Disassemble the pump and inspect the internal components. Different brands have different specifics, so follow the manufacturer's instructions when doing this. In older pumps, you may need to check for worn out parts, like diaphragms or valve blocks, which need periodic replacement. Again, many of the specifics will vary brand-to-brand and model-to-model.  Always add a check-valve to air pumps and place the pump above the aquarium to keep water out of the pump. ⚠ Never put an air pump or any non-submersible pump into the aquarium. ⚠ Always unplug any pump before taking it apart for inspection or repair. 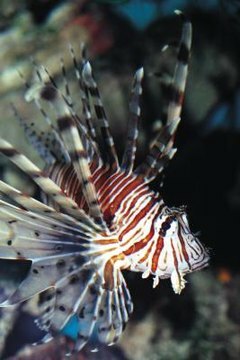 Reefkeeping Magazine: Reefkeeping 101 -- Sumps! Why Does My Goldfish Tank Get Fogged Up So Fast? Do I Need a Protein Skimmer for a Nano Reef?